So much to tell. But let's start with the basics. So naturally, they're on tour! They also played the levels festival! 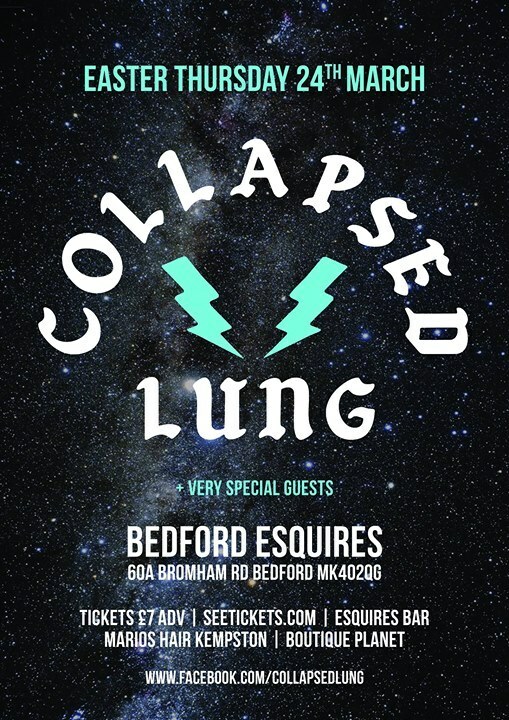 Collapsed Lung are supporting Senser on 26 June at the Dome in London! Dave Walsh is on drums in this lineup. It was fantastic. So great to see them again. I hope for more! Fantastic Harlow based Hip Hop/Rock band, superb in every way! Associated (hell, some of the early b-sides were recorded there) with the Square in Harlow, where I saw them play some fantastic shows...and well known for 'Eat My Goal' though there are so many better songs on the albums and singles! 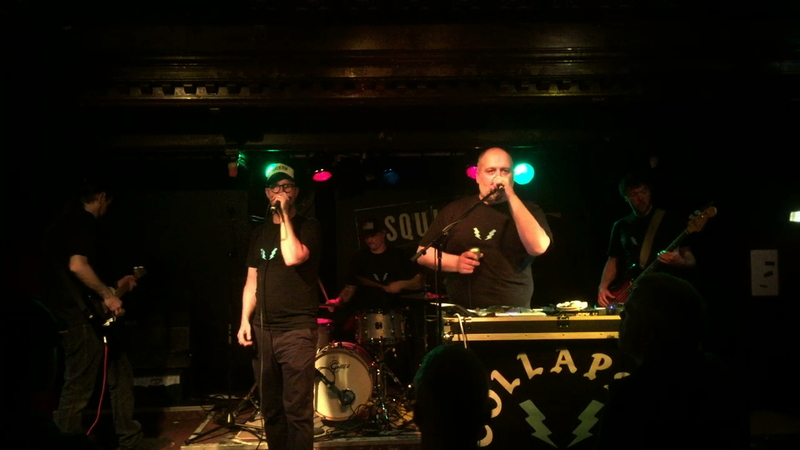 "All round entertainers from Harlow, Essex, England, Collapsed Lung utilise an unconventional hip-hop derived musical format, but also intersperse rowdy electric guitar and mid-song comedy banter. 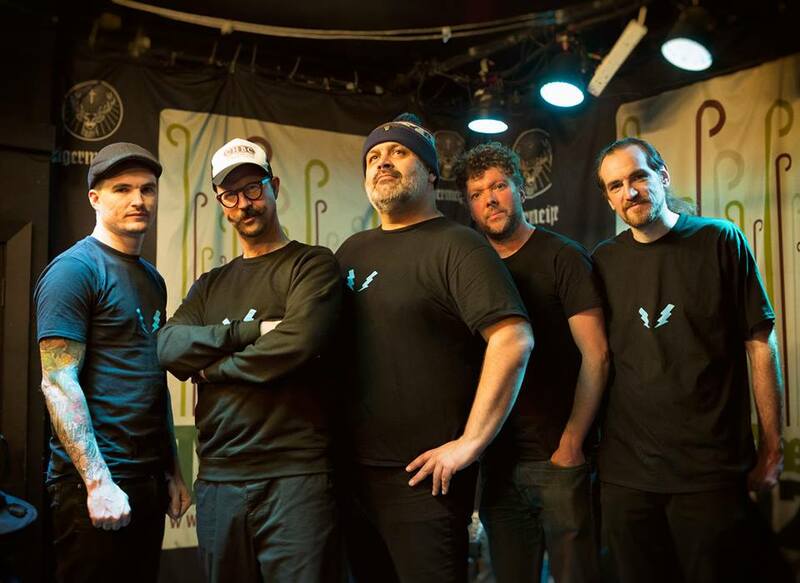 They fomed in February 1992, and after their debut performance were invited to play an all-day festival in Harlow at which guitarist Steve Harcourt (formerly of heavy metal band Gethsemane and by day a toy shop assistant) first met the bespectacled Nihal Arhanayake, a rapper of Sri Lanken descent who opted out of a legal career to join the band. He was consequently invited to record some of his material over the trio's existing tracks. Nihals Co-rapper was Anthony Chapman with the line-up completed by bass player Johnny Dawe. Members traced their roots back to several earlier Harlow bands including Pregnant Neck, Bombers and indie band Death By Milkfloat. 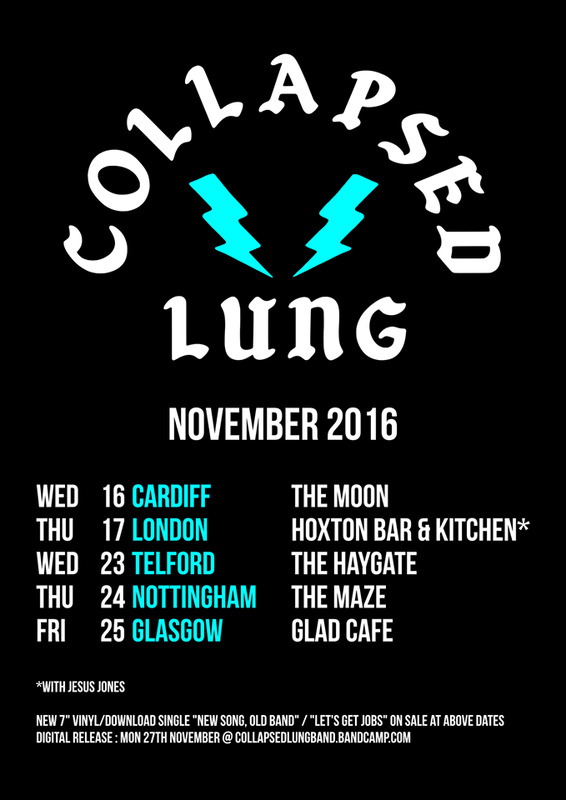 The first Collapsed Lung single 'Thundersley Invacar' eulogising the famous UK invalid car, brought comparisions to Cornershop. The follow up 'Chainsaw Wedgie', was about a particuarly painful playground torture, involving the victim's underwear being hoisted from behind. 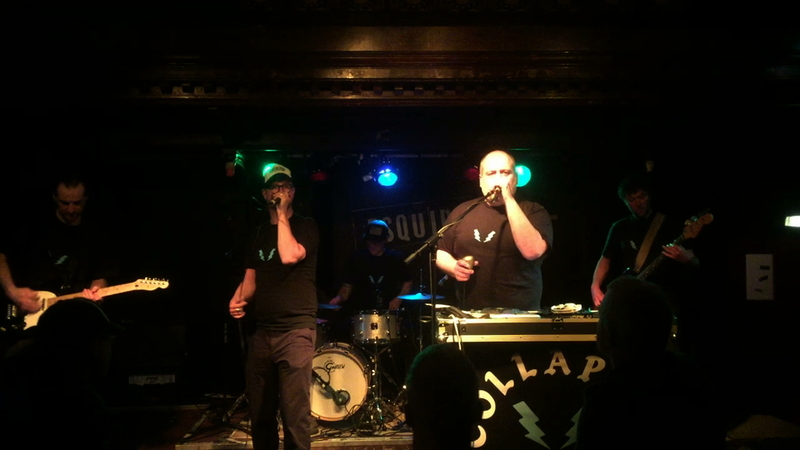 Collapsed Lung replaced him with rapper Jim Burke and drummer Chris, while Chapman also bolstered his reputation with DJ-ing work at a variety of London venues. He was also keen to reinstate Collapsed Lungs rap credentials, stating 'at the end of the day, it's just hip-hop' while promoting the release of 1995's Jackpot Goalie. 'London Tonight/Eat My Goal' was a sizeable UK hit in 1996." Well, a potted history at least....a bit all over the shop but hey-ho! COLLAPSED LUNG - 'Eat My Goal' popstars - so cool they blew out Top of the Pops... Doh! Guitarist now found near the helm of the Square. NIHAL - Sony award winning Radio One DJ/TV hiphop pundit. Previously in Collapsed Lung and even earlier found Graffitting Harlow's underpasses & winning all freestyle rap jams ever. 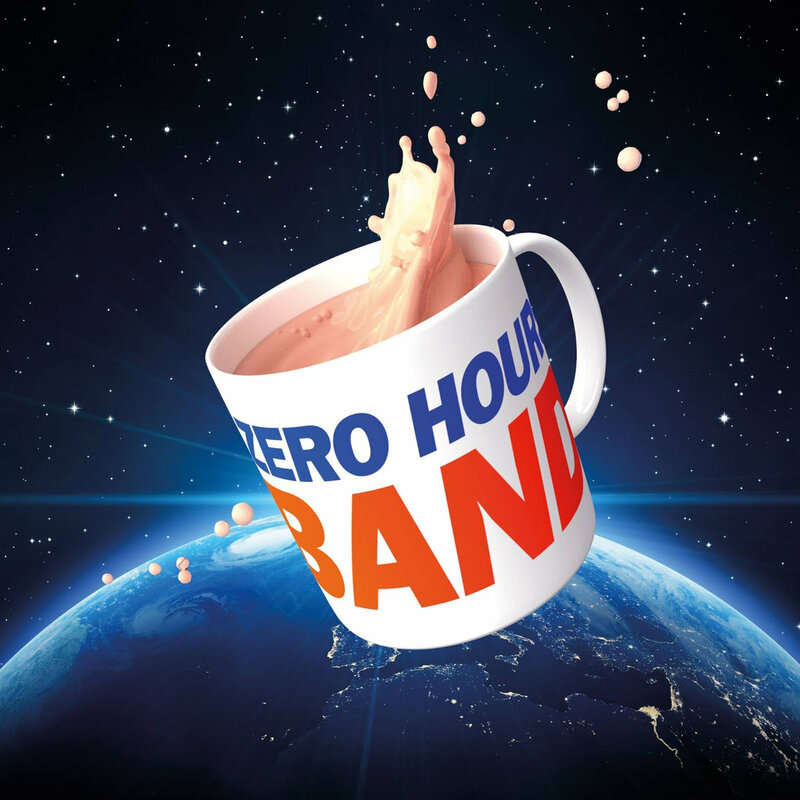 After their debut performance they were invited to play an all-day festival in Harlow at which guitarist Steve Harcourt (formerly a member of metal bands 'Gethsemane', which was largely a farce, failing to gig and 'Bomberz') first met Nihal Arhanayake. Nihal was a rapper of Sri Lankan descent who was studying law in Twickenham, Surrey at the time. He was consequently invited to record some of his material over the trio's existing tracks. Nihal's Co-rapper was Anthony Chapman, with the line-up completed by bass player Johnny Dawe. However, Arthanayake left the band in 1994 after signing a deal for his own group - Muddie Funksters - with Go!Discs (the first label to offer Collapsed Lung a deal, which they declined). 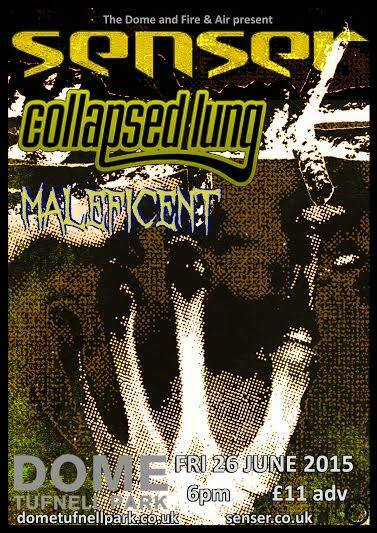 Collapsed Lung replaced him with rapper Jim Burke and drummer Chris Gutch. Chapman also bolstered his reputation with DJ-ing work at a variety of London venues. He was keen to reinstate Collapsed Lung's rap credentials, stating "at the end of the day, it's just hip-hop", while promoting the release of 1995's Jackpot Goalie. In late 1995, drummer Chris Gutch left the group to join a band called Rehab. Gutch was replaced by Jerry Hawkins, previously of The Fuzz (later to mutate into The O) and Atom Seed. In 1996 they released their 2nd album 'Cooler' (written as 'C**ler'). In June 1996 a double A-side 'London Tonight / Eat My Goal' was released which reached number 31 in the UK charts. Eat My Goal was re-released in May 1998 and reached number 18 on the charts, and was subsequently used in various sportswear adverts. In December 1996, the band played their final show at Camden Palace, London. Hope you're well. I thought you might enjoy this clipping from this week's Harlow Star - someone gave me a heads up as I live over in Bucks now. OK, as you know, Eat My Goal was originally on the Jackpot Goalie album. When we were asked if it could be used for the Coke ad, we decided to re-record it and alter a few lyrics. We didn't want to make it the a-side of a single though, as we were worried about looking a bit desperate, and didn't want to be remembered for only one song (oh dear). So the ORIGINAL release in the UK was on the b-side of London Tonight, the blue single with the toy policeman on the front. That said, Deceptive just put stickers on each one saying it featured Eat My Goal, as featured on the Coke advert anyway - complete with Coke logo! Ah well. BUT, the licensees in mainland Europe (mostly parts of the London Records group) wanted to run with Eat My Goal as the a-side, and that's the blue release with the football on the front. As an amusing aside, Deceptive and London actually had legal action taken against them as a result of this release. They had licensed Jackpot Goalie to Semaphore, a German indie, and as far as they new, the new version of Eat My Goal was from the same recording as the first album, and was an infringment of their rights. It came to nothing, though - at least as far as I know. The green version, loaded to the gills with every dog-end mix of the track in existence was a blatant cash-in by Deceptive (specifically Tony Smith - Steve Lamacq was long gone by this point) for the 1998 World Cup. Disappointingly, it charted considerably higher than the original release at #18 (original peaked at #31, Shakespeares Sister entered higher and were on TOTP). We were offered TOTP, but I said no. The rest of the band were undecided, but I was totally adamant that I wouldn't do it as Deceptive (specifically, Tony Smith) would be the main beneficiaries of any publicity. Oh, and the awful Black Cats mix was courtesy of me (Black Cats = Sunderland AFC). Ironically, celebrity Geordies Ant & Dec used this for years on SMTV in their "Eat My Goal" segment. The mix was done under duress for an RCA / BMG compilation at the time.. "The Beautiful Game", I think. Then there was another request for a mix, and me and Fulton the engineer on the album did the "Mardi Grass" mix as a pisstake. It got used on "Big Mix 96", and segued into a Peter Andre ballad at the end of disc 2. Beautiful. I've got a band called Arndales - www.myspace.com/arndales - which is ugly guitar music with me "singing" and playing guitar. Not very lung-esque at all. I'm having fun though.